I’m going go out on a limb and say that Clash Royale is THE greatest game for smartphones and mobile devices. It’s an incredible tower defense card game that constantly keeps getting better the more you stick around to play by offering hours of content and variety to choose from. It’s SUPER addictive. It’s insanely well developed and one of the most innovative games of this past decade. There is no story. It’s just you, the player who gains a set of cards and each one is either a type of building, spell or troop. It feels like a modern very take on of chess with medieval characters like kings, queens, princes and princesses but each character has been given so much personality and detail that come alive upon placing the selected card on the playing field. 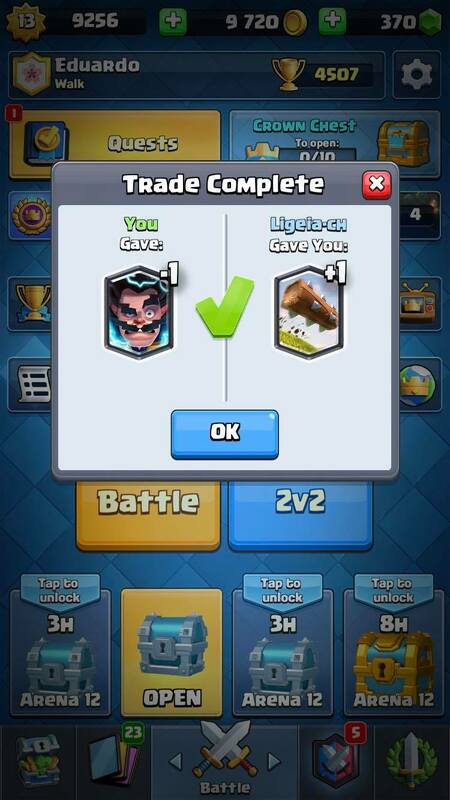 Trade cards with your clan mates using tokens to collect more of your favorites enabling a faster upgrade. The objective of the game is to destroy the opponent’s Kings tower on their side of the field while defending your own towers. Before each battle, the player must select 8 cards to form their deck. At the start of a match they will be given four cards chosen at random to begin with, each card has a value number of elixir which is the resource used to deploy cards onto the area. Once a card is placed on the field, the card goes to the bottom pile of your deck and a card that was in queue will appear in the players hand. 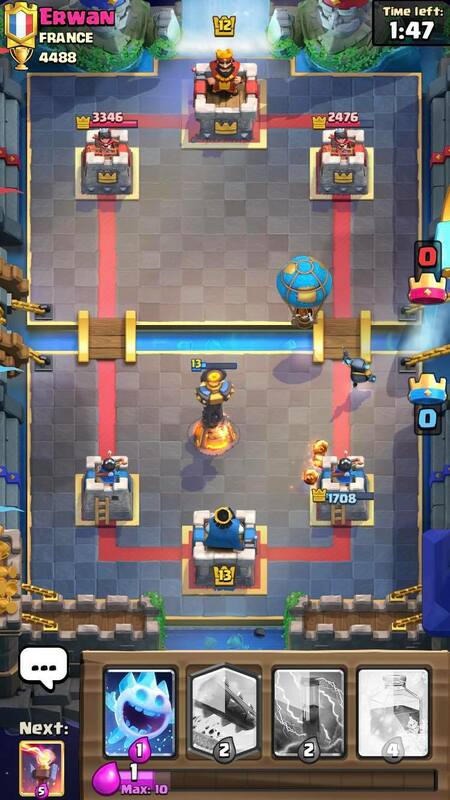 Each tower is worth one crown with a normal 1v1 match lasting 3 minutes. The last remaining 60 seconds, the elixir is produced twice as fast. The battle will end unless both players have equal amount of towers on each field still standing they will be thrown into Sudden Death mode. Release your cards by carefully managing your elixir and having precise timing! 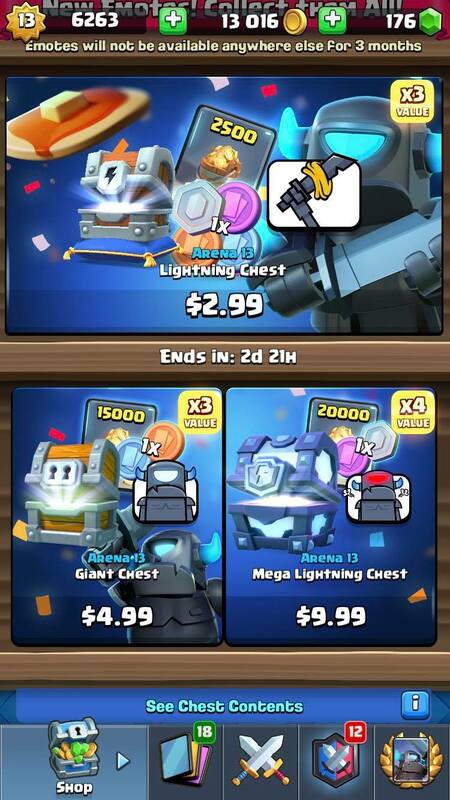 After each round is over, depending if you’ve won, you’ll be given a certain amount of gold coins, and a chest if you have any of your four slots open. 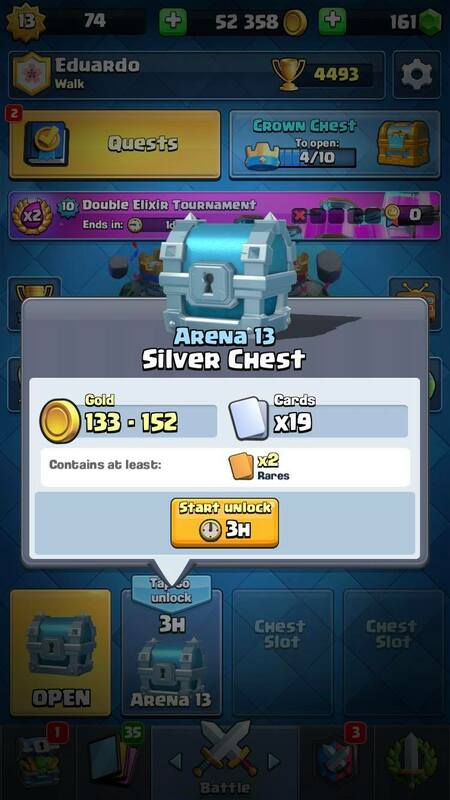 Tap on the chest for it to be given an timer which when done can be opened to obtain gold, gems, and cards at random. Improve the statistics of each individual card by using the the gold to upgrade, this in turn provides the player with experience points to upgrade the health and attack of the King and Princess Towers. This is crucial because the difficulty increases as you move on to higher arenas. The players you go against can become creative and will passive aggressively taunt you causing frustration but don’t let them get to you! Remember – it’s just a game! Everyone’s extremely competitive so just take a break if you need to! Everything’s going to be ok.
3 hours go by pretty fast. You’ll get used to it. 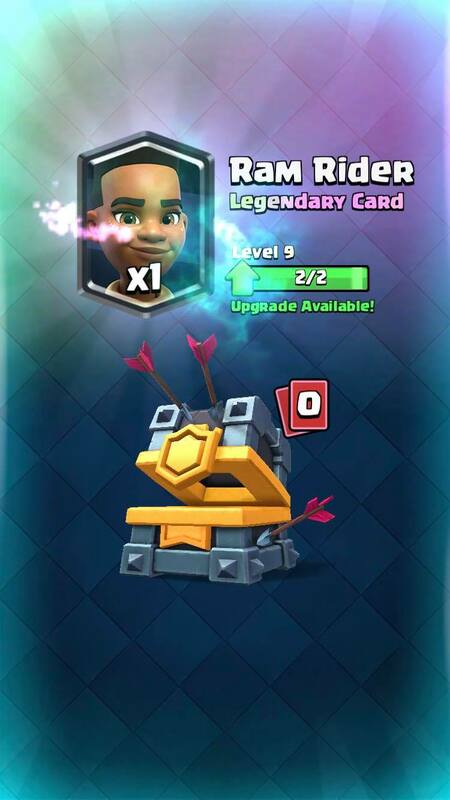 You can also unlock chests faster with gems. The character designs for the Clash universe are all uniquely created. The render models have a cartoonish appearance accompanied by beautifully executed animation. Very smooth, fluid dynamics with seamless animation. There has never been a presence of a bug to cause an enjoyable experience due to poor programming – only from having unstable internet which will cause horrible lags at the most climatic moments during a match. The Mini Pekka is one of our favorite cards with her famous “Pancakes!” Charming and humorous personalities are what make each troop unique. No matter how much I play it seems I’m never going to get to the end and that’s a good thing because I’ve been enjoying this game for a couple of years now and there’s always new events and challenges to do every week, to test your skills to earn extra prizes in private and global tournaments, collect charming emotes, stylize your character and much more for FREE! The video game industry has changed during the course of the past few years and with it has emerged a new set of business models that allow it to be accessible and affordable for all audiences. Users can also tune in to watch professional ESport teams battle each other in stadiums across the world which further emphasizes its global attraction. An important aspect of playing Clash Royale is joining or creating clans. Invite your friends through facebook or complete strangers, battle each other, request and donate cards to level up faster, share your decks and battle other clans to achieve more prizes together! There is also a perfect chat support where you can communicate with the developers when desired. This is the game to download if you want a mode for single player, multiplayer, group chats, events, challenges, much easier ways to earn valuable resources, a large catalog of cards that keep increasing, a constant release of quality advertisements and community outreach makes this worth taking up memory space. Apart from simple and intuitive mechanics that lead to a profound card battle system make this not only an innovative step forward in mobile gaming that deserves to be recognized as a polished gem.